Who is just ready for spring and Easter? Here in the north, we’re still getting a few scattered snow storms, but I am so ready for spring. Flowers blooming, puddle jumping, and the Easter spirit are all a part of my newfound love for the end of winter. I’m ready to send the kids outdoors without taking thirty minutes to bundle them up. It’s time for a new beginning of parenting, as I pull out all the stops and get back to crafting with the kids. Lori wrote a great piece the other day on Being a Better Mom, which is exactly what I intend to do this year. I love teaching my kids about service and sharing with others, so we’ll probably start out weekend out by giving an Easter Basket to a Friend. 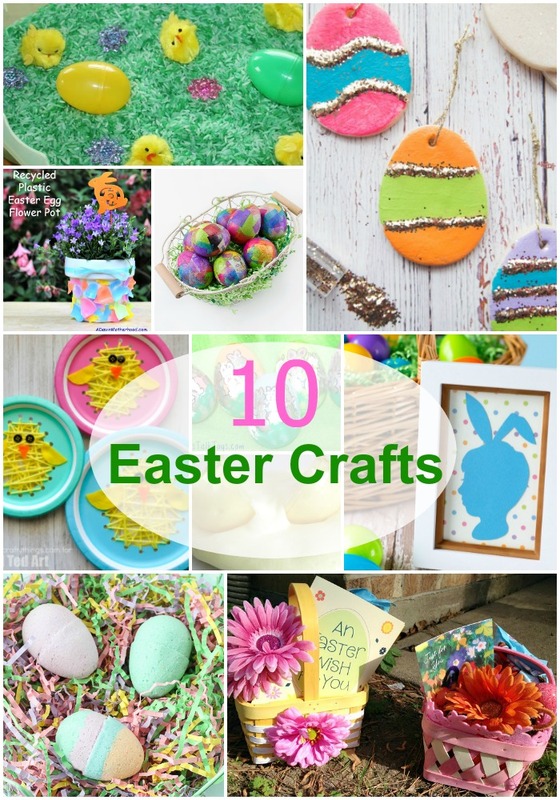 We’ll add some Easter Crafts to the basket and do some of our own around the house too. Inside this Easter Basket, we can put a lot of fun homemade things. Items that I can spend time putting together with my kids. For our neighbors with a bunch of girls, these Bath Bomb Easter Eggs from Lydi Out Loud would be perfect. 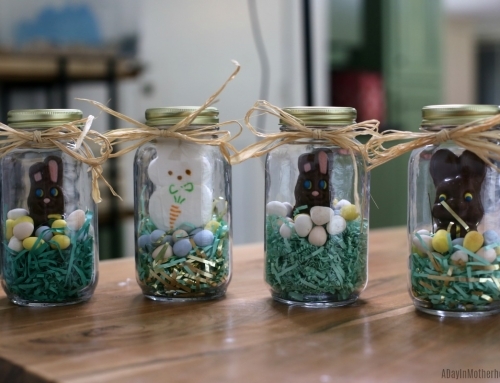 Little Bins for Little Hands has a recipe for Easter Slime that their brother would love. 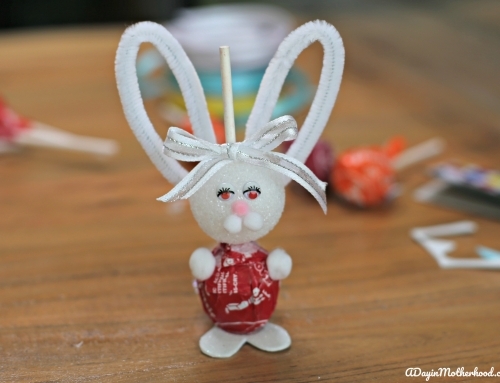 After we deliver our Easter Basket, the kids can enjoy some time this weekend digging through the Easter Sensory Bin that Little Bins for Little Hands has put together, or this Easter Paper Plate Sewing from Red Ted Art. Saturday morning would be a great time to create these Easter Egg Handprint Bunnies. These would not only be a fun egg to leave for the Easter Bunny to fill but can be a fun memory to pull out year after year. 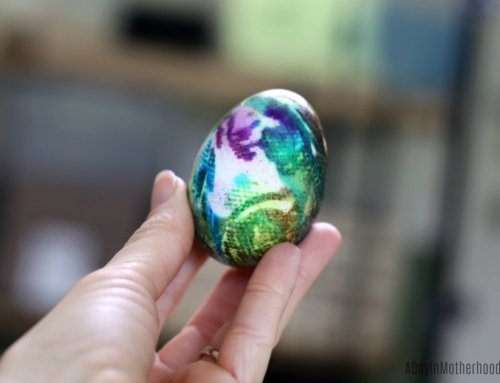 If you want to forgo traditional dyed eggs this year, maybe go for the Salt Dough Easter Eggs from The Best Ideas for Kids, or these fun colored Paper Mache Easter Eggs from Fireflies and Mudpies. Finally there’s nothing I find more special than creating home decor with the kids that we can all enjoy. This Recycled Plastic Easter Egg Flower Pot would look beautiful with an Easter Silhouette Portrait of each of the kids from Fireflies and Mudpies. 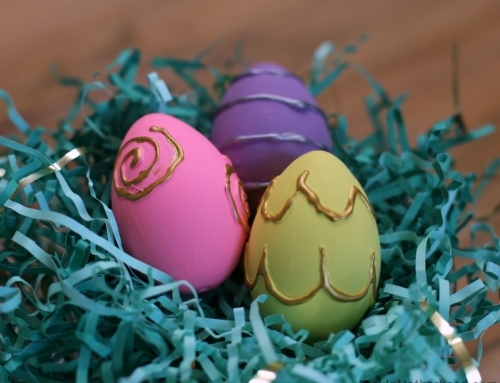 Thanks so much for including my bath bomb Easter eggs! Happy Easter to you and your family!